With the rise of faster payment systems worldwide, settlements between parties are moving at great speed. From governments to the gig economy—these new B2B payment systems are allowing businesses to deliver funds more quickly to buyers, sellers, suppliers, and employees. This shift is causing companies to rethink their traditional business models and take advantage of these more efficient payment tools. In an effort to digitize B2B payments, governments around the world are embracing the potential of faster payment systems and the benefits they bring to the global economy. For example, the Spanish government recently implemented an online platform that enables government contractors to electronically submit work invoices. Also, in Canada, a group of banks recently added a third exchange window, enabling companies to make electronic fund transfers (EFTs) in Canadian dollars. This new strategy helps companies on Canada’s west coast avoid the potential pitfalls of late payments. And it’s not just governments that are embracing new business models. The gig economy is shifting its practices and following suit. For example, an on-demand delivery service recently announced plans to work with Visa to offer “instant deposits” that would allow its drivers to access their wages in real time instead of waiting seven days for a weekly payout. 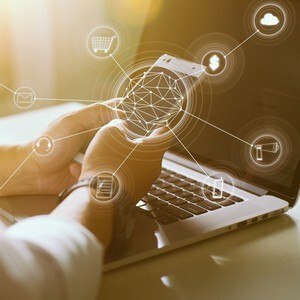 Not all companies have utilized faster payment systems and for some digital marketplaces, this B2B payment innovation could bridge the gap between buyers and sellers browsing and communicating online yet exchanging funds for an item in-person. By evolving and offering solutions like data insights and payment processing directly within the platform, these tools can elevate old-school marketplaces into smart marketplaces. Large payment players, Visa and Billtrust, have come together to launch an open buyer/supplier payment platform that they say will accomplish what others have not: put paper checks closer to extinction by streamlining and digitizing payments between businesses. And do it at scale. Their hope is to push the industry forward in a huge way and finally kill off the paper check. Is Your Business Ready for B2B Payment Innovation?